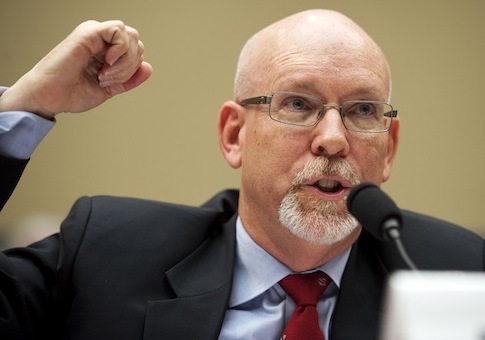 Gregory N. Hicks, former deputy chief of mission of the U.S. embassy in Tripoli, asserted on Wednesday that anybody putting blame on Ambassador Chris Stevens is wrong and that the blame for the embassy attack lies entirely with Washington. Hicks’ contention in the Wall Street Journal comes in response to the report the Senate Select Committee on Intelligence issued last week on the Sept. 11, 2012, terrorist attacks in Benghazi that left Stevens and three other Americans dead. The report states that Steven’s "declined" offers from then-commander of the U.S. Africa Command to "sustain" the security team at the U.S. Embassy in Tripoli. According to Hicks, the decision was made to ensure that any military personnel serving in Libya would be granted diplomatic immunity, which Stevens knew from experience was a necessity. The Senate Intelligence Committee's report accurately notes that on Aug. 6, after the transfer of authority, two special forces team members in a diplomatic vehicle were forced off the road in Tripoli and attacked. Only because of their courage, skills and training did they escape unharmed. But the incident highlighted the risks associated with having military personnel in Libya unprotected by diplomatic immunity or a status of forces agreement. As a result of this incident, Chris was forced to agree with Gen. Ham's withdrawal of most of the special forces team from Tripoli until the Libyan government formally approved their new training mission and granted them diplomatic immunity. Because Mr. Kennedy had refused to extend the special forces security mission, State Department protocol required Chris to decline Gen. Ham's two offers to do so, which were made after Aug. 6. I have found the reporting of these so-called offers strange, since my recollection of events is that after the Aug. 6 incident, Gen. Ham wanted to withdraw the entire special forces team from Tripoli until they had Libyan government approval of their new mission and the diplomatic immunity necessary to perform their mission safely. However, Chris convinced Gen. Ham to leave six members of the team in Tripoli. When I arrived in Tripoli on July 31, we had over 30 security personnel, from the State Department and the U.S. military, assigned to protect the diplomatic mission to Libya. All were under the ambassador's authority. On Sept. 11, we had only nine diplomatic security agents under Chris's authority to protect our diplomatic personnel in Tripoli and Benghazi. Hicks says that he was interviewed by the committee during its investigation but says that "for some reason, my explanation did not make it into the Senate report." To sum up: Chris Stevens was not responsible for the reduction in security personnel. His requests for additional security were denied or ignored. Officials at the State and Defense Departments in Washington made the decisions that resulted in reduced security. Sen. Lindsey Graham stated on the Senate floor last week that Chris "was in Benghazi because that is where he was supposed to be doing what America wanted him to do: Try to hold Libya together." He added, "Quit blaming the dead guy." This entry was posted in National Security and tagged Libya, Lindsey Graham, Military, State Department, Terrorism. Bookmark the permalink.